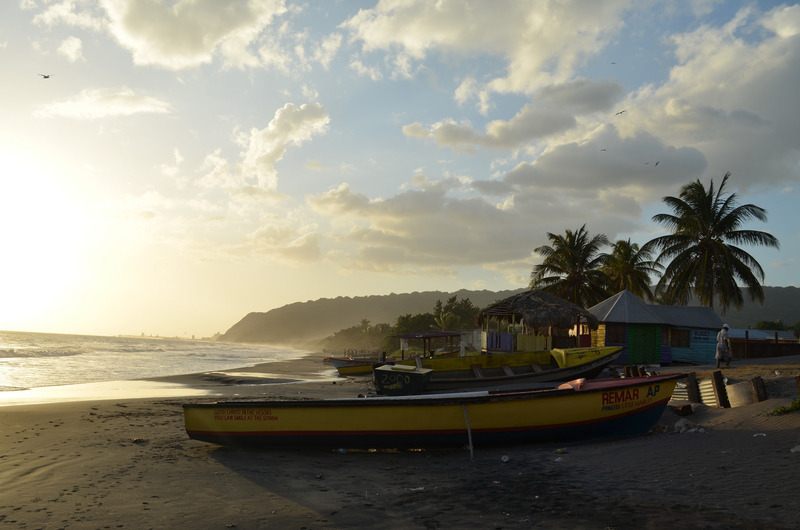 X marks the spot on this exhilarating treasure trove of an island, the colours of Jamaica’s flag summing up its golden sunshine, its forest-cloaked mountains and the creativity of its people, who spun the sounds of reggae out of their hardships. 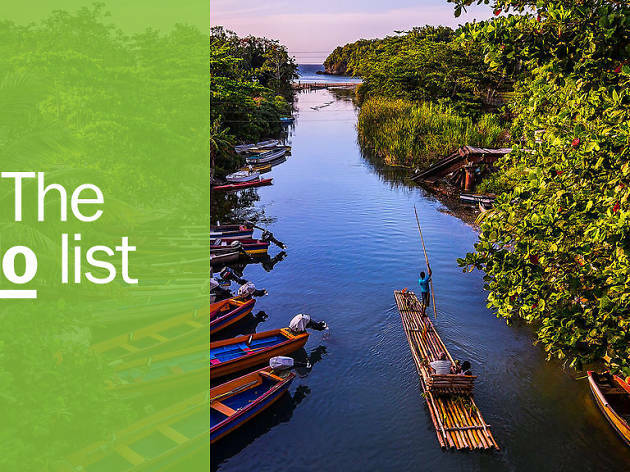 Marvel at the cultural vibrancy of Kingston as you ricochet from raucous dancehall parties and jerk pits to grand public gardens and museums, before exploring the astounding natural beauty of the country’s waterfalls, mountain trails, coffee estates and top hotels. 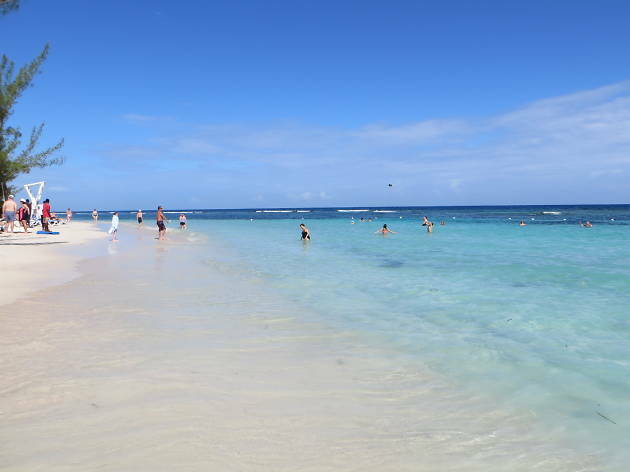 As for beach bums, it doesn’t get much better than a palm-shaded hammock and ice-cold Red Stripe on a deserted cove. What is it? 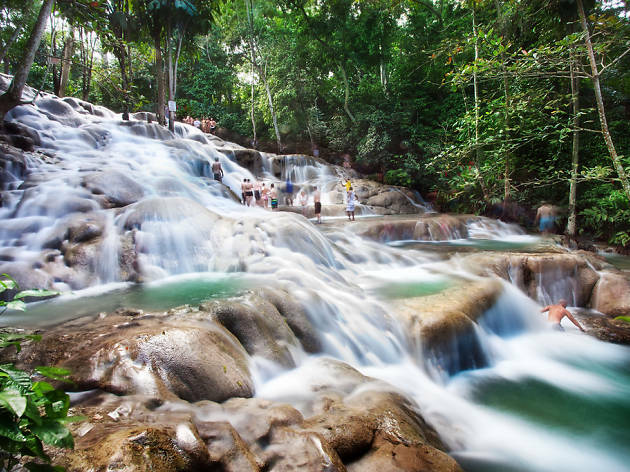 The most impressive of Jamaica’s many waterfalls is where Dunn’s River cascades right into the Caribbean Sea. Why go? This spot was deemed spectacular enough to feature in a 007 movie – remember when Ursula Andress emerges from the ocean in Goldfinger? 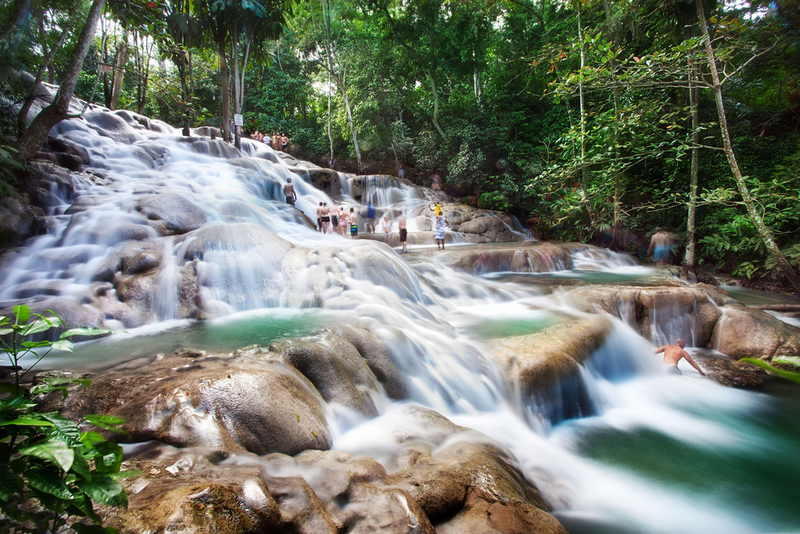 Scrambling up Dunn’s River Falls makes for some heart-thumping moments, clinging onto slippery, sun-dappled rocks against the gushing water. Arrive before 8am to avoid the crowds, and get a guide who can show you the safest route. What is it? 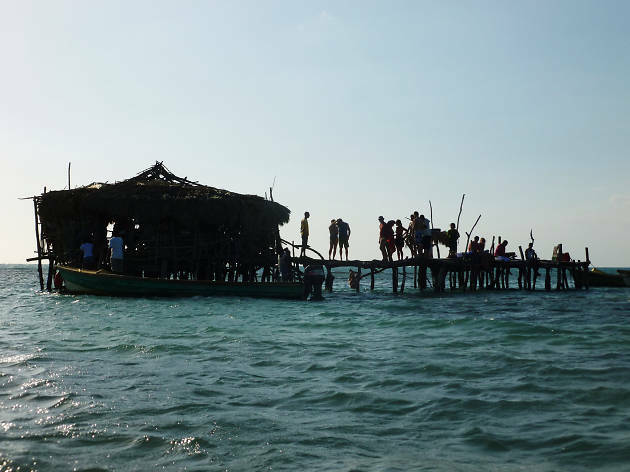 A beach bar is one thing, but how about a bar that’s in the sea? The Pelican Bar is built on stilts a mile off the shore. Why go? Bringing new meaning to the term “watering hole,” the novelty of this setting hardly needs explaining. Barter a ride on a fishing boat from Parotee Point (instead of the touristy catamaran), order a rum punch and lobster curry, and don’t forget to carve your name on the decking. What is it? A housing project turned heritage site, Trench Town Culture Yard is a music lover’s Mecca. The first beats of ska, rocksteady and reggae were born in its tenement yards. Why go? Lap up the infectious creative atmosphere. 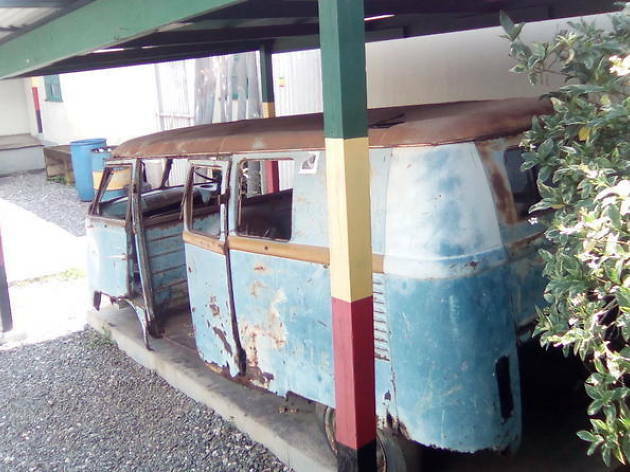 You’ll visit the former home of Bob Marley and the spot where he and Vincent Ford penned ‘No Woman No Cry’. Get an authentic perspective and support community rehabilitation projects by opting for a Trench Town Development Association guide. What is it? 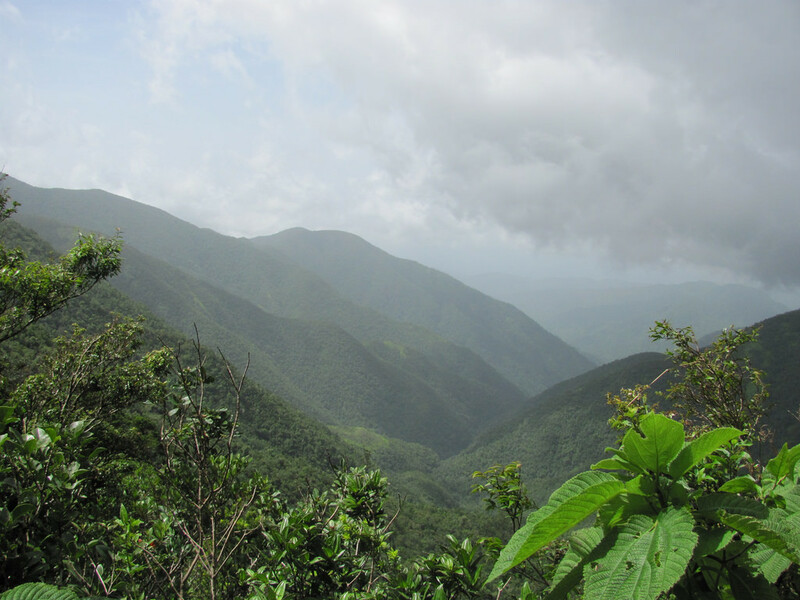 Poised 1,700 feet above sea level, Lover’s Leap is Jamaica’s lookout point par excellence. 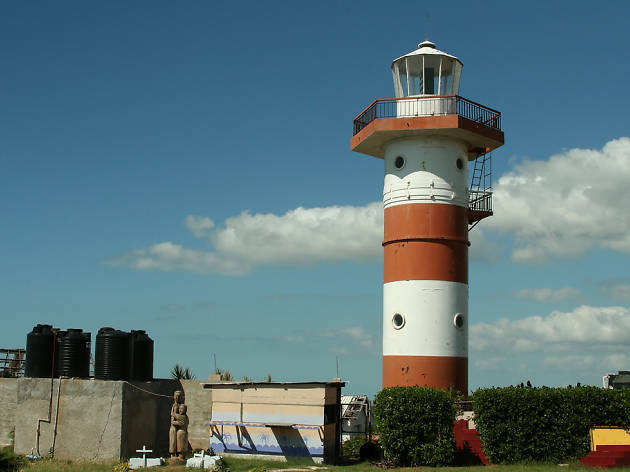 It boasts the highest lighthouse in the Western Hemisphere and a resto-bar serving tasty traditional dishes like conch, fish tea and oxtail. Why go? Watching the waves crashing on Cutlass Beach below makes for a thrilling and romantic panorama. For the optimal experience, head up there for Sunday sunset, when live music and dancing gets the crowd going. What is it? The water at Falmouth Bay glows electric blue at nighttime. It’s a natural phenomenon caused by aquatic microorganisms that give off light when agitated. Why go? This is one of the only places in the world to observe bioluminescence on such a scale. And while travelling these days can seem focused on getting the perfect Instagram image, this experience doesn’t translate on-screen; you have to jump in the water and see the surreal shimmering lights for yourself. What is it? Three-time winner of Jamaica’s Best Restaurant, The Sugar Mill at luxury resort Half Moon takes seasonal produce to new heights of sophistication – think: lemongrass lobster timbale, green plantain rosti and breadfruit gnocchi. Why go? Plump for a private table beside the mill’s waterwheel and order a dram of the world’s oldest rum, the 50-year-old Appleton Estate. 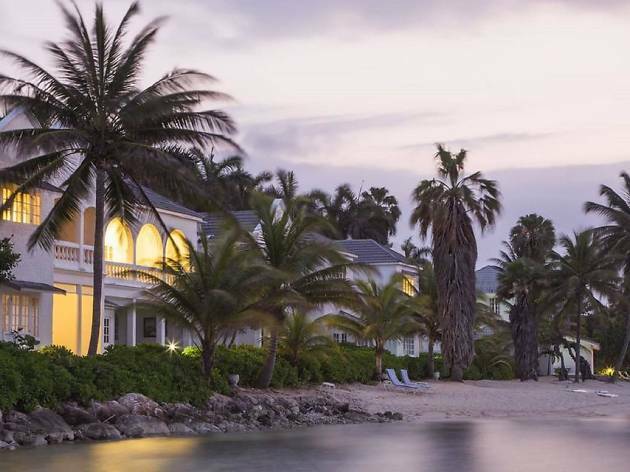 Then follow in the footsteps of the Queen and the Kennedys by spending a night in one of Half Moon’s butler-attended suites. What is it? Set the alarm clock and set out on a predawn hike to catch the sun creeping above the mountain landscape. Why go? 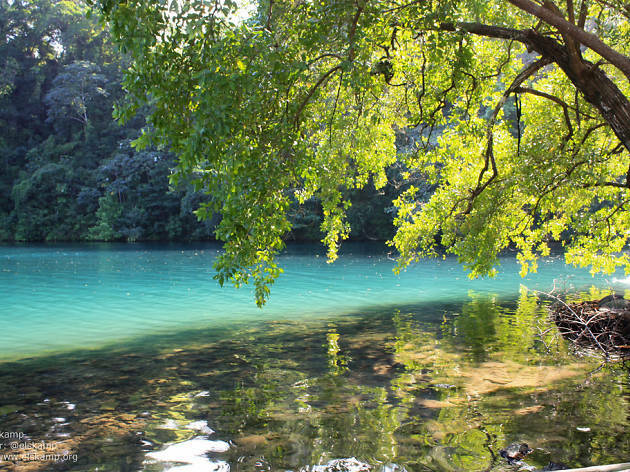 It’s well worth the effort and early rise for one of Jamaica’s most sublime natural sights, and there are various well-signposted trails to follow. Catherine’s Peak is the best bet for an intermediate-level hike, taking about 45 minutes; Eits Café is handily located for an organic breakfast on the way back into Kingston. What is it? 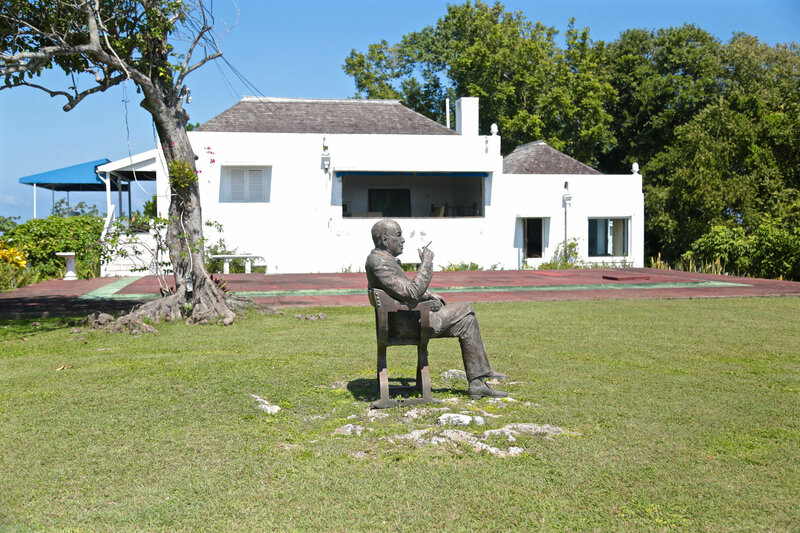 Welcome to the former home (and resting place) of Noël Coward – prolific playwright, composer and actor. When visiting his friend Ian Fleming in 1948, Coward took a shine to the island and found this clifftop spot for his own pad. Why go? Soak up the unbeatable views over Blue Harbor, ideally with a picnic on the lawn. The home’s interior is preserved in pristine mid-century style, complete with the writing desk and piano where the creative magic used to happen. What is it? Simple yet delicious fish is order of the day at long-established seaside joint Little Ochie, in the laidback village of Alligator Pond. Why go? Pick your choice of fish, crab or lobster from the day’s catch, straight off the ice, and tell the chefs how you best like it cooked. 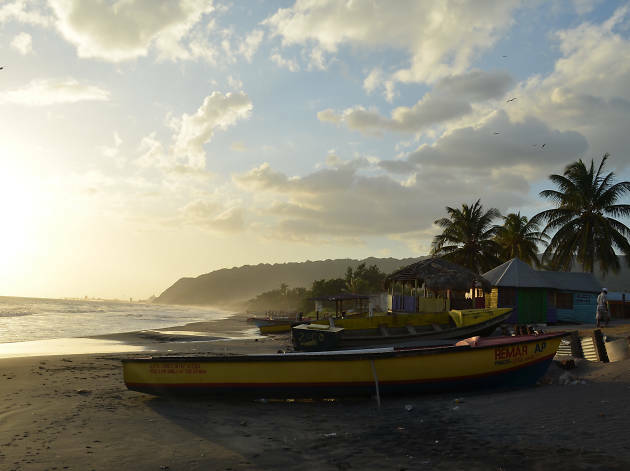 With rustic seating in raised boats on the sand and chilled reggae tunes on the stereo, the setting feels far from the madding crowd. What is it? A natural pool of clear turquoise water in the wilds of Portland, the Blue Lagoon plunges to depths of 200 feet (although the legends claim it’s bottomless and home to a ferocious dragon). Why go? 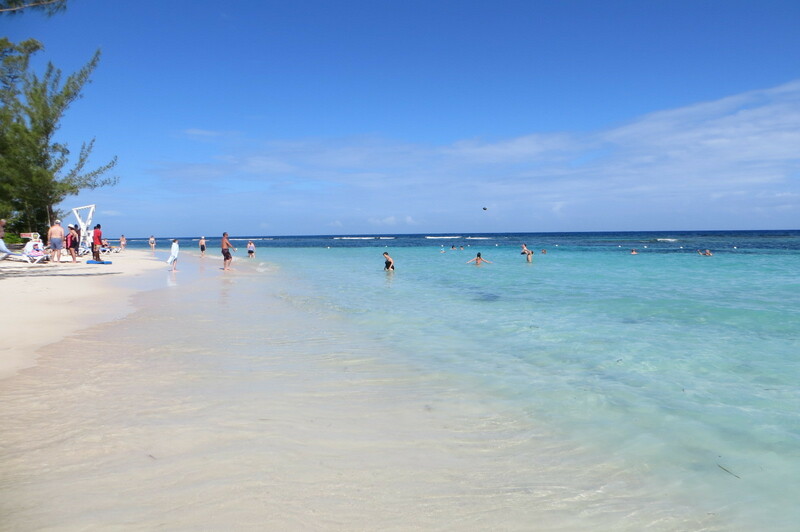 There’s no better relief on from the baking Caribbean sun than leaping into the lagoon. The most exhilarating way in is to grab one of the rope vines that hang overhead and do your best Tarzan impression. What is it? Arrive at Boston Bay with an empty stomach: this is the birthplace of jerk. Now synonymous with Jamaican cuisine, the method of marinating meat with hot pepper seasonings first flourished in this area. Why go? 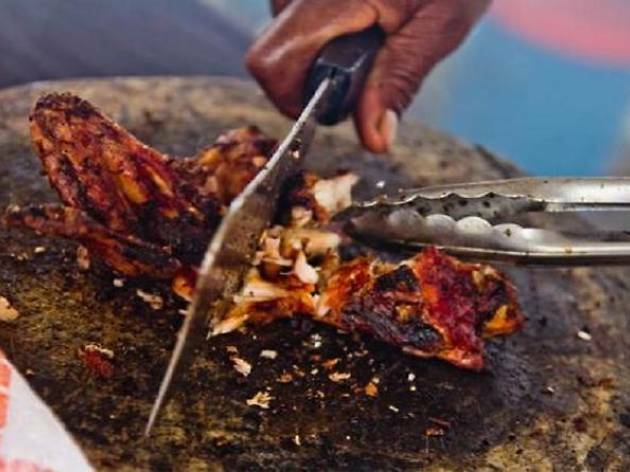 With hundreds of jerk stalls lining the streets, you’re spoilt for choice when it comes to spicy, smoky fare (there’s even a jerk festival here at Easter). Devour your portion sitting on Boston Bay’s surfing beach for an awesome view to match the food. What is it? 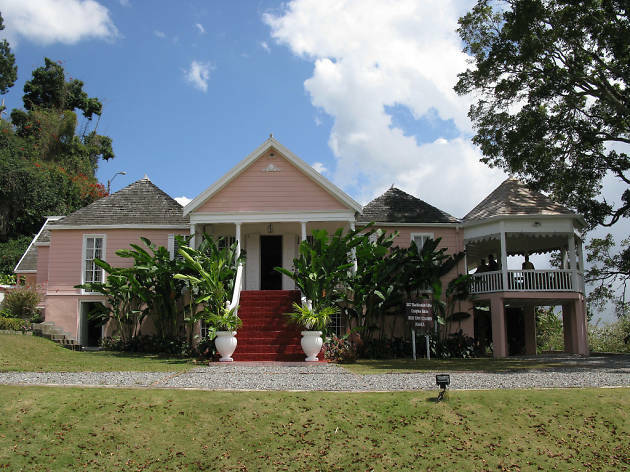 This heritage-laden, family-run hotel is the jewel in Ocho Rios’ crown. 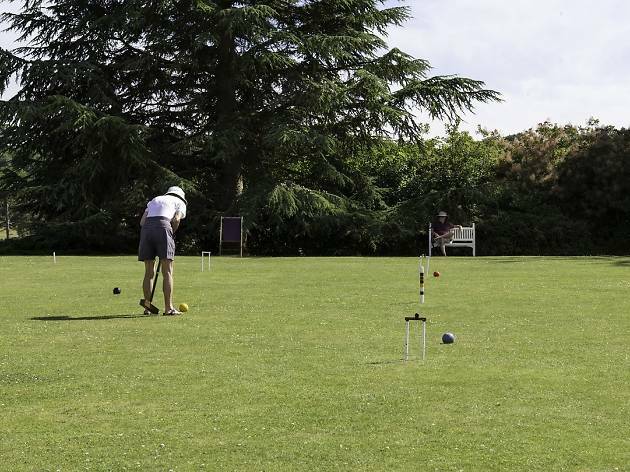 Set in a peaceful private cove, the vibe is all croquet and highballs on the manicured lawn; the antithesis of cruise ship Caribbean. Why go? History buffs will want to check into the White Suite, where Sir Winston Churchill used to head for some R&R with an ocean view. The property was a magnet for Golden Age Hollywood royalty, too, including honeymooners Marylin Monroe and Arthur Miller. What is it? 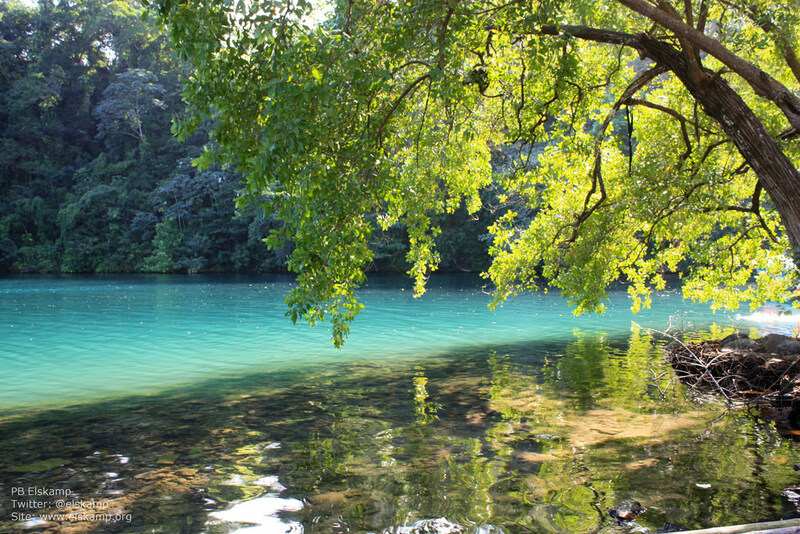 It’s well worth detouring from the beach to experience this meandering, tranquil waterway through the forest of Trelawny Parish. Why go? 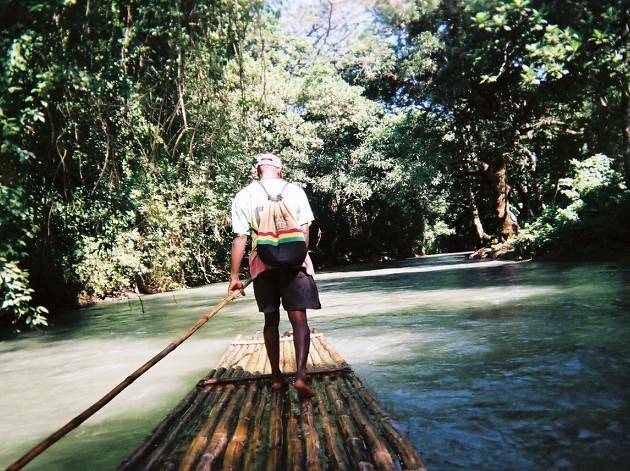 Few pastimes are more relaxing that drifting on a 30-foot bamboo raft while a guide gently pushes you downstream, and it’s a wonderful way to soak up the lush scenery. 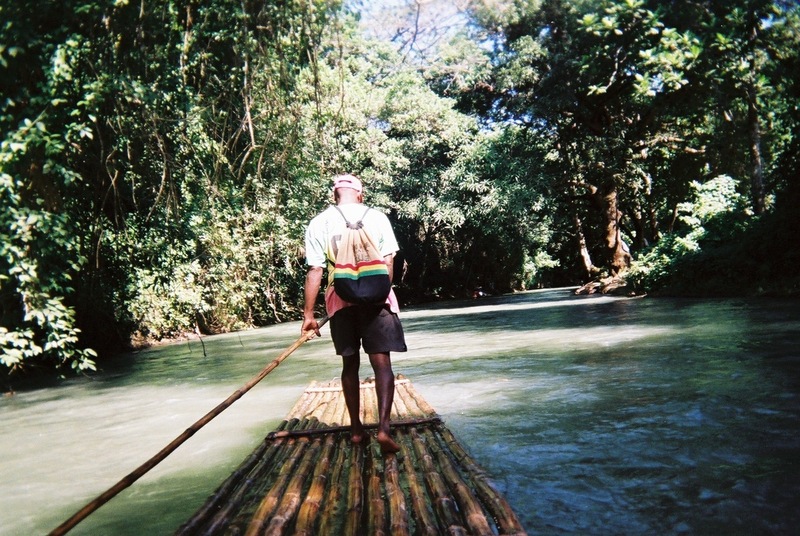 The three-mile route starts out from a dedicated rafting village; pause to check out “Miss Martha’s Herb Garden”, filled with Jamaica’s medicinal and healing plants. What is it? 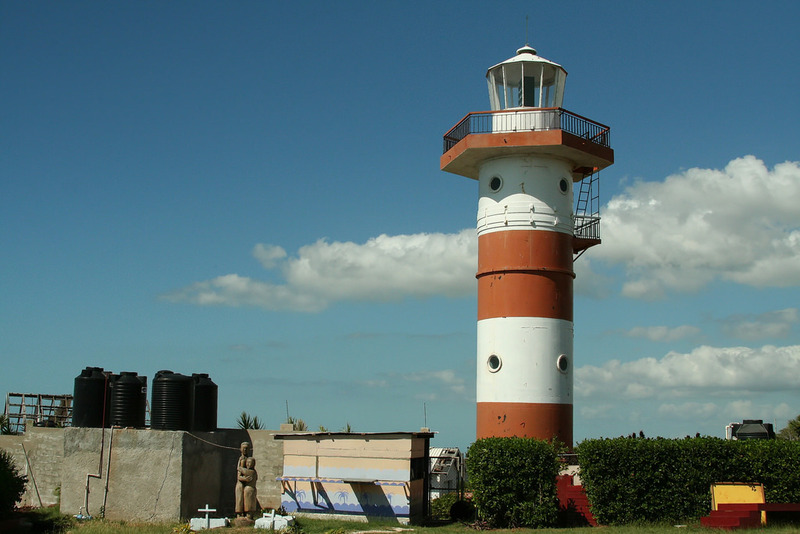 Head to the largest and oldest public art gallery in the English-speaking Caribbean to see how Jamaican creatives have expressed themselves through the centuries. Why go? 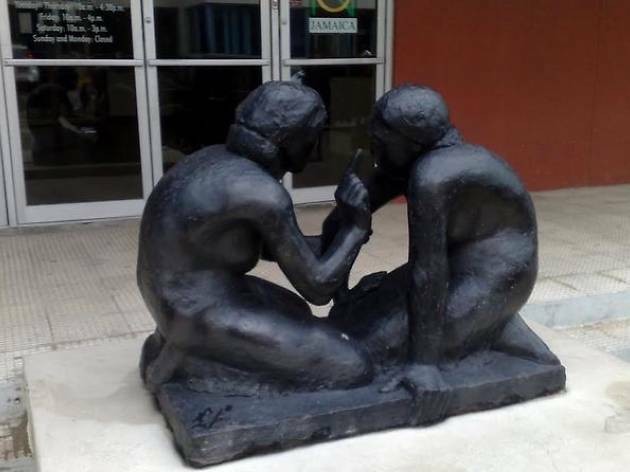 Starting with Taíno carvings, through to modernist sculptures by Edna Manley, get a window into Jamaican history and culture as you wander through the chronological displays. Time your trip to coincide with the Last Sundays programme to get the added treat of one-off performances (from dance to storytelling) plus free admission. What is it? 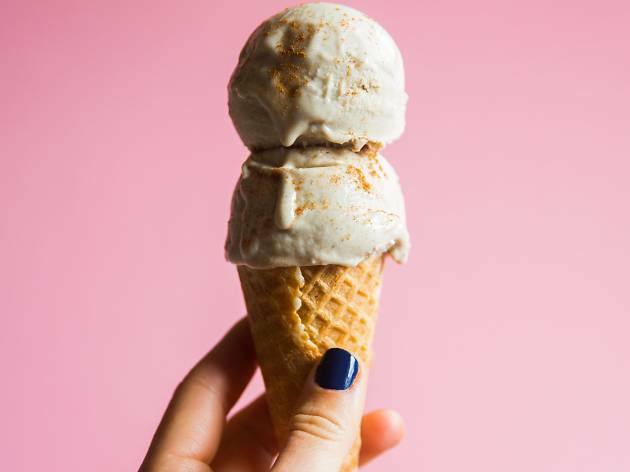 The gardens of a Kingston mansion house hold a sweet surprise: the island’s favourite ice-cream shop. Why go? There are some 20 natural flavors to tempt visitors, but the signature variety to try has to be the Devon Stout, made with Jamaican dark stout beer. Perch on a palm-shaded bench by the central fountain to enjoy your treat, while admiring the grand Georgian property. What is it? Set in the foothills of the Blue Mountains, Belcour Lodge is a colonial-era estate offering culinary tours. Why go? Who better to introduce you to island produce and cottage industry than Jamaican cookbook author Robin Lumsden? 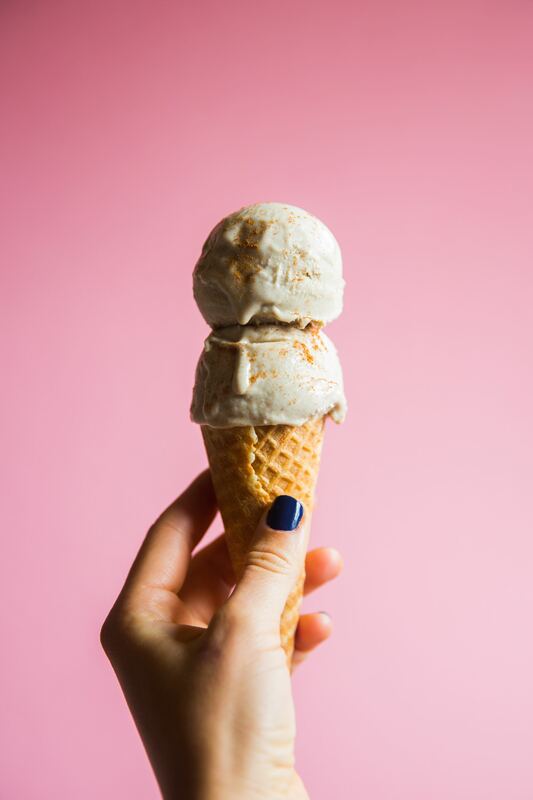 Foodies and natural lovers will be in their element touring the property’s spectacular gardens, citrus orchards and bee hives, as hummingbirds dart around. Guests then gather for Robin’s slap-up kitchen spread, including Belcour’s famous range of preserves. What is it? A house party the likes of which you’ve never seen before, the legendary Dub Club is perched on Jack’s Hill, overlooking the lights of Kingston. Why go? Its colossal sound system was just made for deep dub and rootsy reggae, with the drinking and dancing spilling out beneath the mango trees. The party doesn’t get going ‘til pushing midnight. 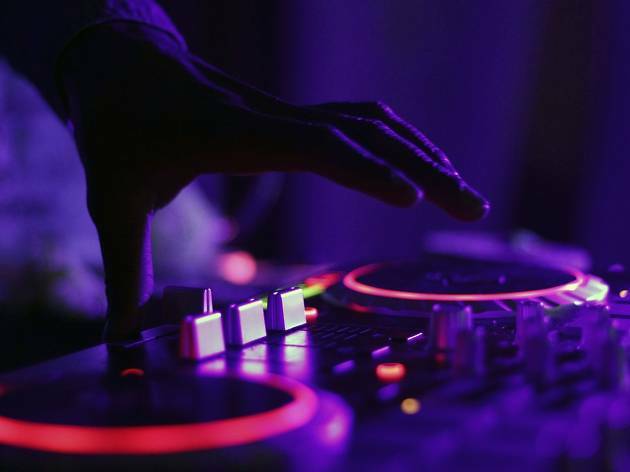 Authentic and epic, the venue is run by Rastafarians and attracts world-class DJs. What is it? Once dubbed the ‘wickedest city in the world’ for its pirates, prostitutes and blackout-inducing rum, Port Royal was reduced to ruins by a major earthquake in 1692. Why go? The best archaeological wonders lie 40 feet beneath the sea, so pull on scuba gear to explore a site that’s been likened to an underwater Pompeii. 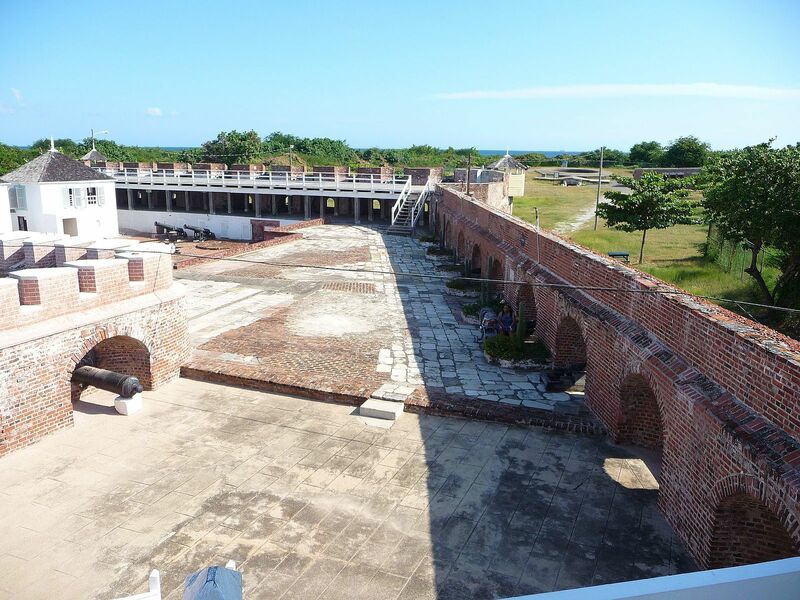 Land lubbers should seek out National Heritage Trust guides Molly or Rally at 17th-century Fort Charles to hear their wealth of historical knowledge. What is it? 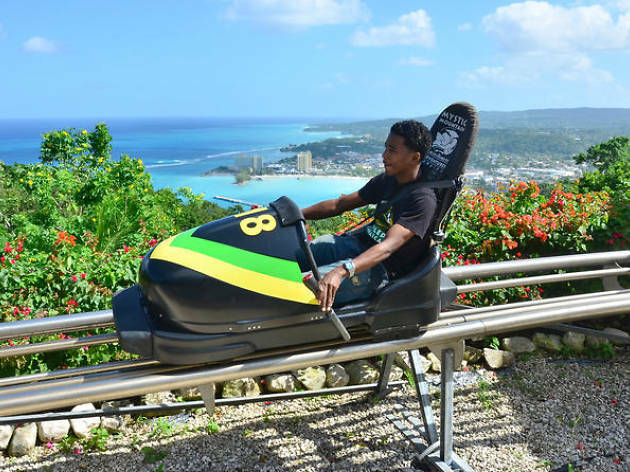 Thrill seekers won’t want to miss this adventure park, which offers zip-lining, waterslides and – the star attraction – bobsledding. Why go? On this dizzying race through the rainforest, you control bobsled’s breaks, going as steady or speedy as you like. Built into a mountainside above Ocho Rios, the setting is incredible too. Get in the zone pre-visit by watching the 1993 comedy about four Jamaican bobsledders striving to compete in the Winter Olympics. What is it? Some of the world’s finest coffee is cultivated in the Blue Mountains. Learn how it goes from bean to brew on a tour of this historic plantation site. Why go? As well as finding out how your morning caffeine fix is produced, admire the 200-year-old Great House and taste a fresh cup. 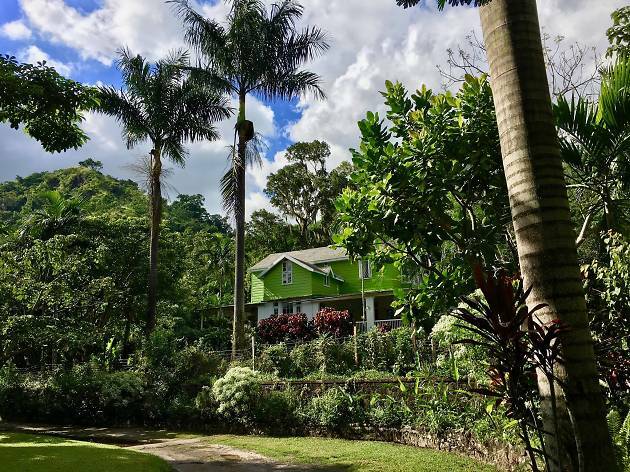 Leave time for a hike through the coffee fields, keeping your eyes peeled for a tucked-away gazebo that gives best views over Kingston and the surrounding mountains.